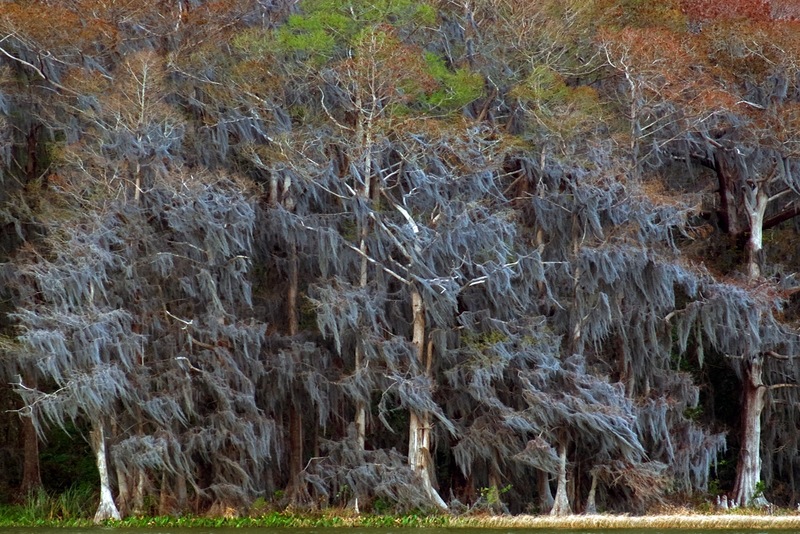 Florida winters can be very strange and generally overlap with either fall or spring. This image which was taken along the shoreline of Lake Harris shows the winter landscape but there are still remnants of the fall colors as well as the bright greens that indicate early spring growth. The mixture of trees in this image is pretty amazing and the end result is an image that is hard to define as to what season it really is. 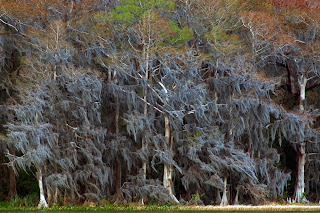 Of course the spanish moss is present year around but is very visible in this image due to the bare trees.